Proposals in writing will be received by the Court of Directors, at No 105, Grafton street, for drawing six Passage-boats, for three, four, or five years, between the city of Dublin and Monasterevan. The Contractors to be paid monthly. Proposals to be delivered in two ways, either for the present five stages, from Dublin to Hazle-hatch, Sallins, Robertstown, Rathangan, and Monasterevan; or for four stages, viz Hazle-hatch, Digby-bridge, Elanaree, and Monasterevan. Persons proposing may send proposals either for the whole line, or any one or more of the before-mentioned stages. Any alteration that shall hereafter be made, by increasing or decreasing the number of Passage Boats, to be mutually allowed for in proportion to the contract. The boys to be kept in proper apparel, and the contractors to find track lines. Stables will be found by the Company on the new stages — if they should be adopted. Proposals will be received until the 1st day of August next, and the contracts to commence on the 1st of October ensuing. Security in the sum of £500 must be given for the due performance of the contracts. Relatively little has been published about the horse-drawn cargo-carrying trade boats used by the Grand Canal Company in the latter half of the nineteenth century, before it adopted semi-diesel engines. Here is some information and some speculation about the subject, but there is much that is not clear. An ad from the Freeman’s Journal of 11 September 1876 provides a snippet of information about horse haulage on the Royal Canal, with a point that I cannot recall seeing anywhere else about Irish waterways. Here’s a French example and here’s an American from this excellent page. This is a point that I do not recall seeing before. It arises in a short report from the Freeman’s Journal of 17 July 1876. I suspect that the last phrase means that he was drunk. But what is more interesting, at least to me, is that a canal boat was equipped with oars. I do not recall having read that anywhere. 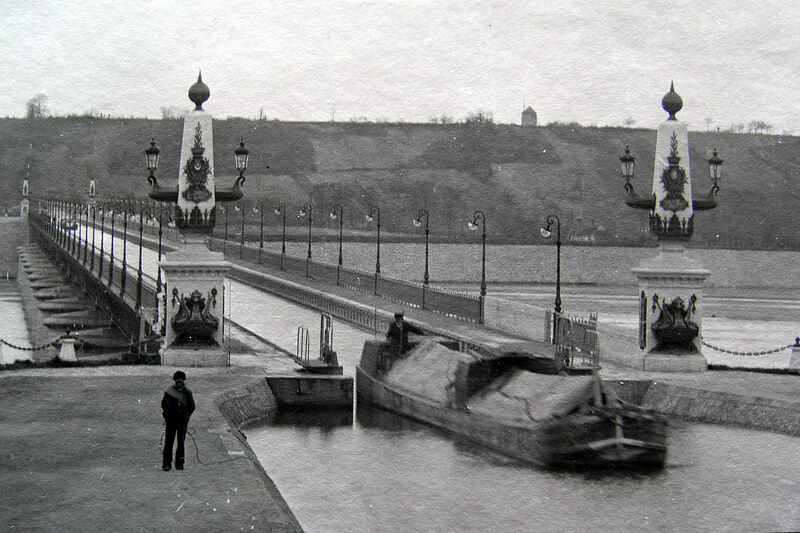 But we know little about the design, equipment and operation of nineteenth century canal boats. Oars would certainly be useful for moving around basins and on rivers like the Liffey, but how were the oars pivoted and how many men did it take to row a loaded canal boat?